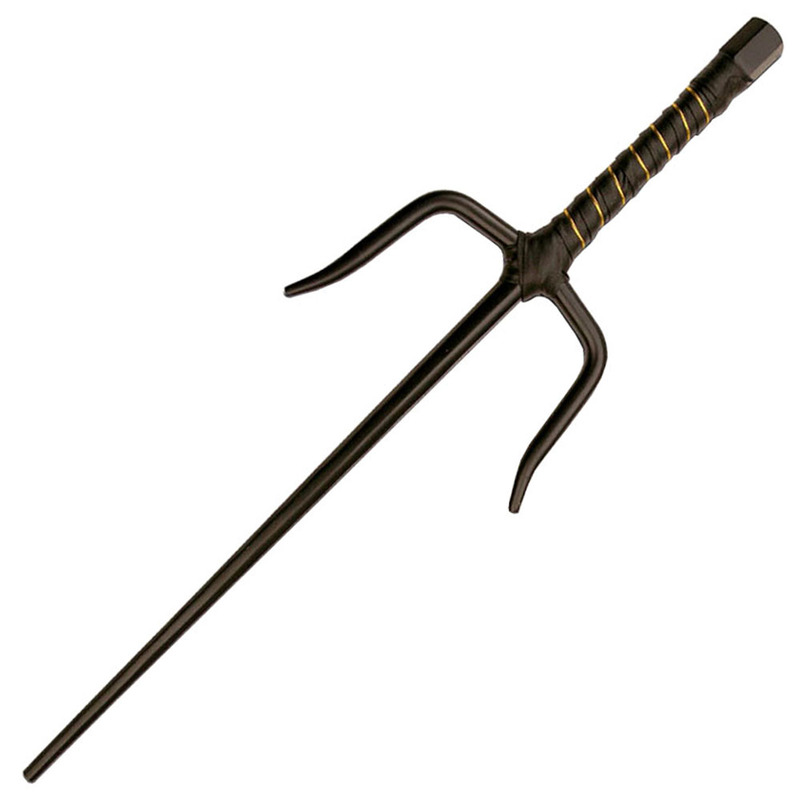 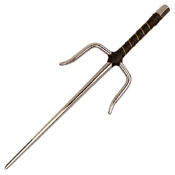 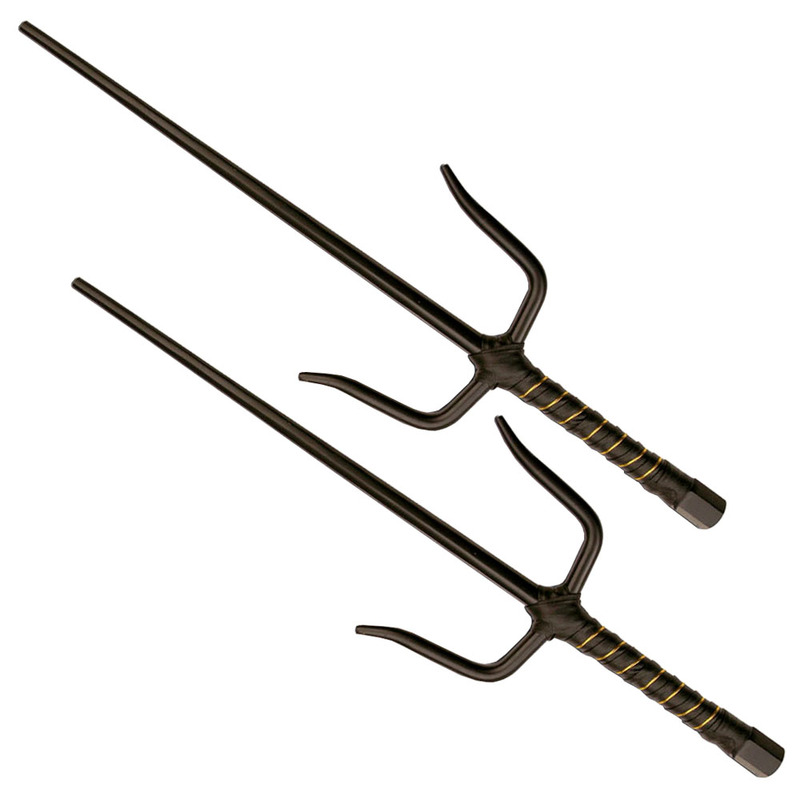 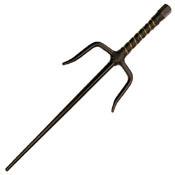 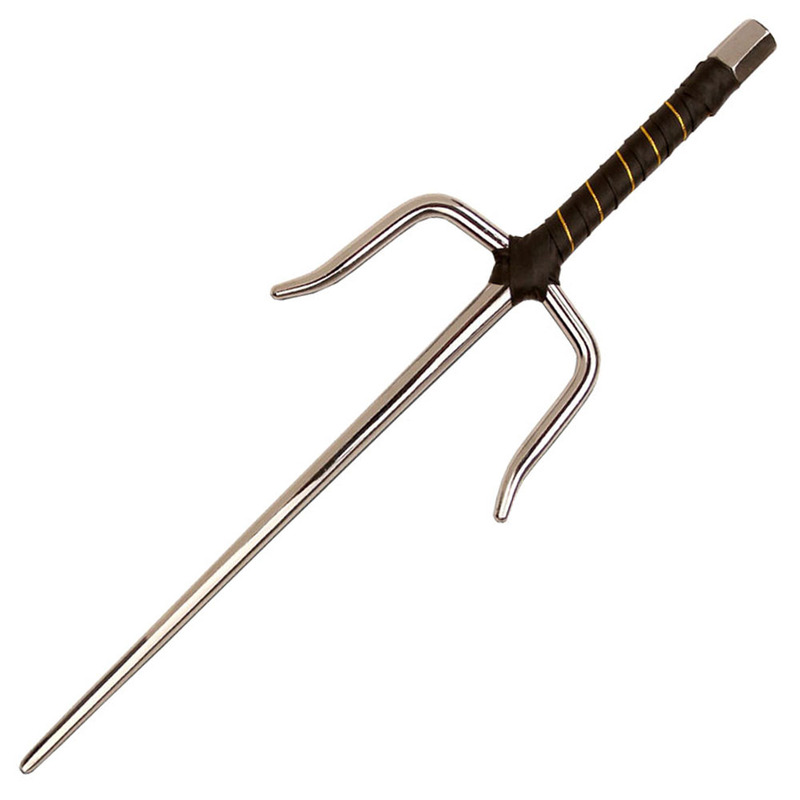 These Ninja Sai Batons 18 Inch are a set of traditional melee weapons. They feature easy-to-grip black leather handles and metal construction. 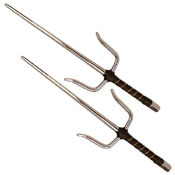 An octagonal stem at the base of the handle helps keep the grip from moving out of your hands.